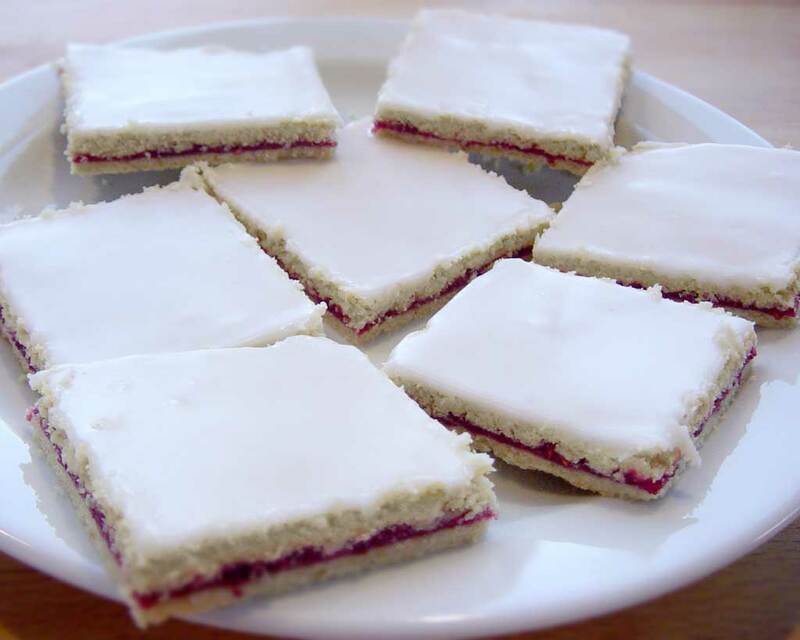 Recipe with Video - A classic in the Danish bakeries. They just don't make it using butter, which is a shame! Roll one part flat. Try to make it as square as possible. Roll it up on a rolling pin so you can move it, then roll it out on a baking sheet. Poke it with a fork, to let the steam escape, so it doesn't bulge. Cover the dough with a lot of jam. all the way to the edge. Roll the second part flat. Make sure it has the same size and shape as the first sheet of dough. Put it on top of the jam. Bake for approx. 25 minutes at 200°C 390°F. Until it's golden brown. When it's cooled down cover it with icing. Cut it into 8 cm (3") squares. It is easiest with a pizza wheel / round pizza cutter.